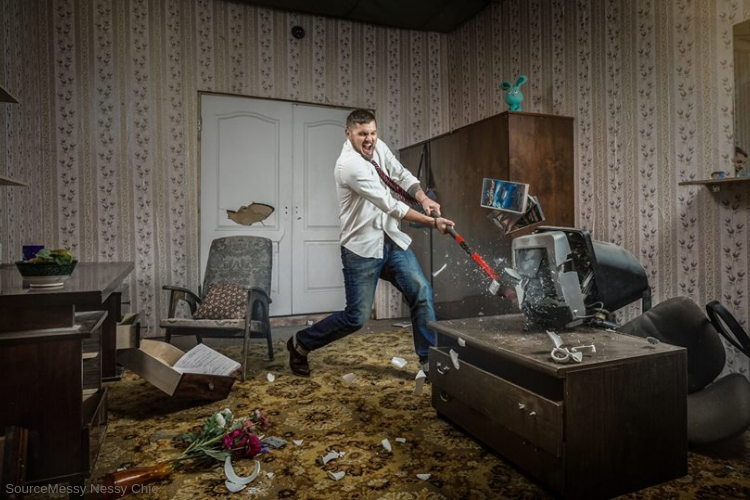 The thought of smashing things to relieve stress is becoming a go-to thing for many businessmen and even some families. The more grown-up way to throw a tantrum is making headlines in America thanks to Japan debut of a rage room back in 2018. Rage rooms, also known as smash rooms or anger rooms, have opened in cities around America and around the world offering a safe place for people to smash their way out of anger. These rooms allow you to hurl a plate across the room, smash anything you wish with a sledgehammer. The rage room first opened in Japan in 2008, since then the rage room has made its way around the world spreading from Serbia to the United Kingdom to Argentina. The USA has welcomed this form of stress releasing therapy, opening up new rooms in cities including Charlotte North Carolina, and Tuscan, Arizona just in the past couple of months. Just last month rage rooms have opened up in Milwaukee; Rochester, New York; Hampton, Virginia; and American Fork, Utah. What’s the cost of these rage rooms? Well pretty affordable, but like any treatment, it varies city to city. For example, in In Glen Burnie, Maryland, you can pay as little as $15 for a BYOB package – that’s bring your own breakable – if you want to destroy some keepsakes of your own. Although in New York City, you can see prices of 95$ for the Couples Therapy” the package comes with, electronic items, such as a printer or laptop, and two buckets of dishes, such as ceramic plates,mugs, and bowls. The great Los Angeles area you can pay up to $300 for the “Overkill” package, which comes with 100 items such as printers, wine bottles, and computers. Kaki King, a guitarist from New York City is a customer of Rage Industries located in Seattle while she was on tour. Her experience surprised her, normally she is not a violent person but thoroughly enjoyed her time in the smash room. She said, “I was the most surprised by the fact that someone like me – I consider myself calm, peaceful, measured, not quick to anger at all – (would) actually be expressing anger physically, even against these inanimate objects.” Describing her 20-minute session “ cathartic” even cried in the middle of it, really getting into it in a way she never expected. With that being said many people in the business world or even just the average mom of four understand this is not the only way to treat their mental health issue but rather a way to handle the stresses of everyday life in a fun way. Many people who are seeking treatment find it a daunting task due to the stigma behind it, rage rooms allow a bit of release from the normal therapy chair and white walls.